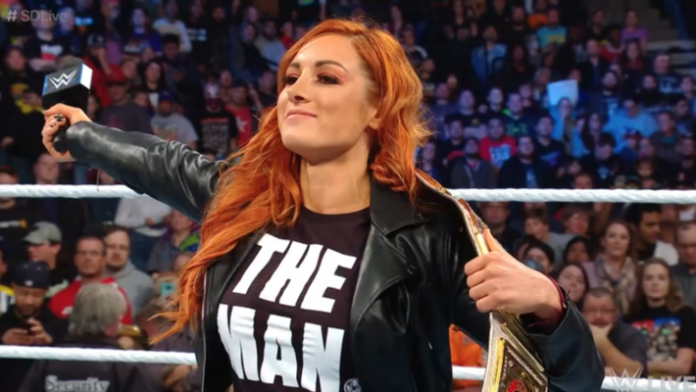 Becky Lynch says she was almost released by WWE shortly before her television debut in 2014. Becky Lynch was once at risk of being cut by WWE even before she debuted on NXT television. She had been given an Irish-jig dancing gimmick and lost 12 matches on NXT house shows to start her career. Lynch then defeated Summer Rae in the summer of 2014 in her NXT TV debut. Lynch took to Twitter recently to comment on her debut match and her position in the company at the time. In November, Lynch addressed her former gimmick on a media call. Lynch would win the inaugural Smackdown women’s championship two years later. She is now a 2x former holder of the title, a Royal Rumble winner, and was awarded the Woman of the Year award by Pro Wrestling Illustrated for 2018. Lynch will face Ronda Rousey and Charlotte Flair for the RAW women’s championship at WrestleMania 35.